Can This Common Health Food Reverse Cancer? Home » Cancer » Prevention » Can This Common Health Food Reverse Cancer? Cancer of the esophagus is an extremely lethal type of cancer with a very poor prognosis. The five year survival rate of esophageal cancer is a mere 3 percent for advanced stage cases and 38 percent for cases where the cancer is found early and is still localized. These dire statistics point to a clear need to find an esophageal cancer cure. Although we are not there yet, researchers from Ohio State and China may have discovered a natural and delicious way to vastly reduce the risk for developing esophageal cancer. A couple years ago, Dr. Chen and her colleagues discovered that when rats were fed freeze-dried strawberries, it markedly inhibited the development of esophageal tumors. 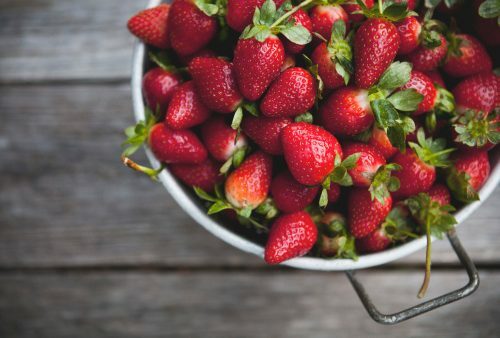 These findings prompted Chen to continue her research, and to test the effects of strawberries on human patients with precancerous esophageal lesions. According to Chen, the majority of these participants had an inevitable risk of develop esophageal cancer at some point in their lives. The paper was written by pharmacy researchers so these precautions make perfect sense—why instruct people at high risk for develop esophageal cancer to simply consume strawberries, when there is no money to be made from it? Instead, Big Pharma wants to take the results of this study and try to develop strawberry-derived drugs that can be sold for top dollar. Considering that there are over 21 published studies proving the effectiveness of strawberries as anticancer agents, and that strawberries are natural, affordable and side-effect free, we recommend ignoring this precaution and upping your consumption of strawberries as a preventative (and delicious) cancer measure.